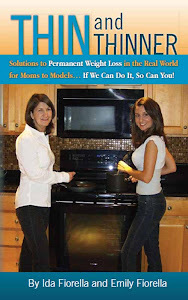 SOLUTIONS TO PERMANENT WEIGHT LOSS IN THE REAL WORLD FOR MOMS TO MODELS... IF WE CAN DO IT, SO CAN YOU! Find low carb recipes, meal plans, grocery lists, and motivation on our weight loss blog or in our book titled Thin and Thinner. - Combine bread crumbs, almond flour, Italian seasoning, salt, and pepper in bowl. - In a separate bowl combine one egg and coconut milk (can substitute your milk preference, (i.e. almond milk). - Dip each chicken breast into egg mixture, then dip into bread crumb mixture, and place on a greased baking pan.Bake for 30 minutes. - Top chicken with cheese and tomato sauce. Then bake for another 5 – 10 minutes. - Slice raw eggplant into thin strips (I cut the eggplant with a knife, lengthwise into four sections; then use kitchen shears/scissors to cut the sections into fine strips, and discard the heavy seeded pieces). 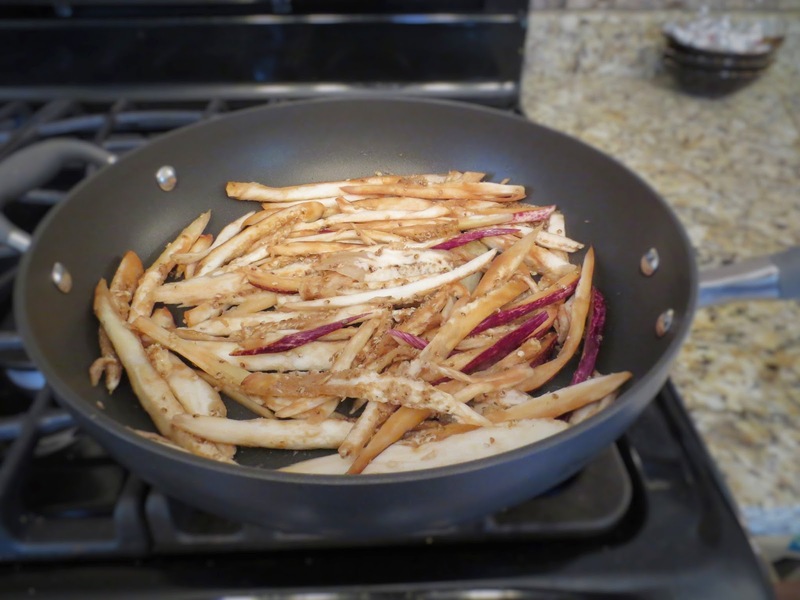 - Place eggplant strips in a skillet with olive oil. - Cook over med – high heat for 10 minutes. Reduce heat to low and cook until desired crispiness or noodle-like texture. Chopped cucumber and tomato's mixed with Parmesan cheese and Italian Dressing . 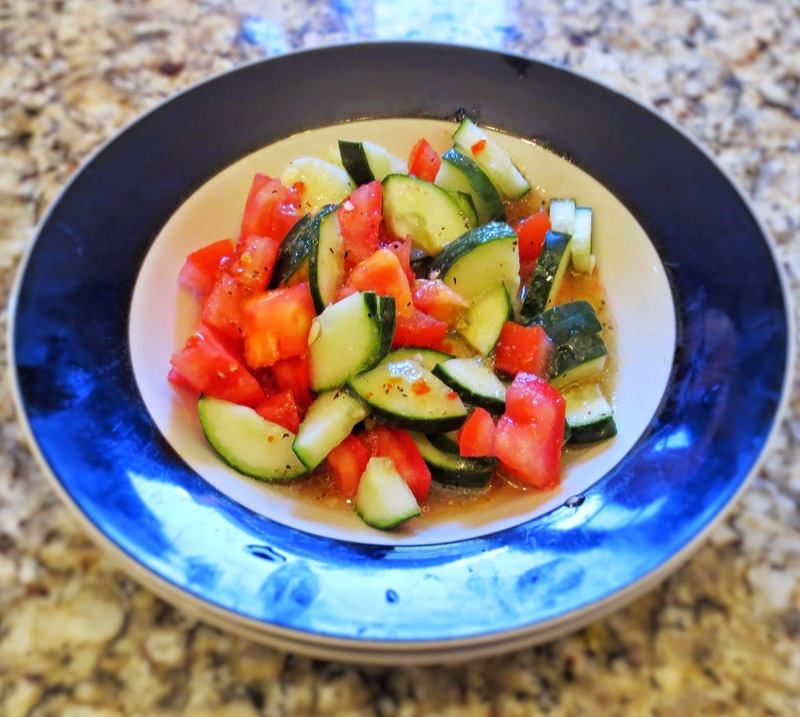 What to make for dinner on a low carb, gluten free diet? Since many people ask me what I eat on a daily basis, or if I eat, I thought I’d share it on the blog. I have a passion for cooking delicious meals that are healthy and easy to make. I do some meal planning before going to the grocery store each week, though more often than not, I create recipes based on whatever I have in the kitchen. 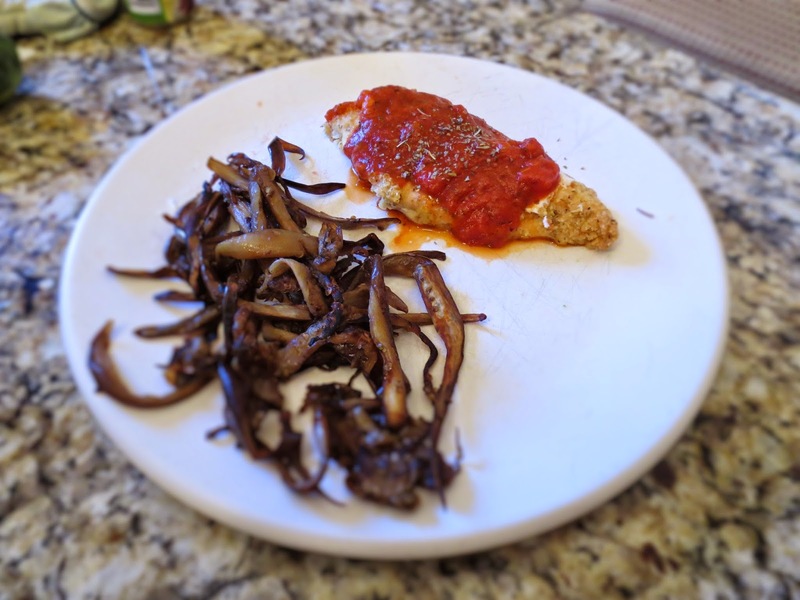 I would like to post what I make for dinner each night on the blog. Although, I am not committing to this. It is just something I would "like" to do. As a full time mom to an energetic 1 year old, a college student, and the wife of a superhero it is hard to find time for much else. If you are familiar with the blog or have read the book Thin and Thinner, you will know that I (a.k.a. Thinner) and my mother (a.k.a. Thin) always cook low carb. However, after extensive research I have also decided that I will no longer be cooking with gluten (unless it’s for a weekend party, sorry friends, don’t judge!). So here they are! The past two nights, home cooked dinners: Italian style meatloaf on Monday and a crazy, coconut chicken dish on Tuesday. Both are husband and baby approved. 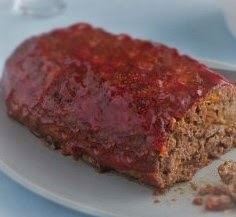 ** Top with Organic Ketchup (or without high fructose corn syrup), or a low sugar tomato sauce. 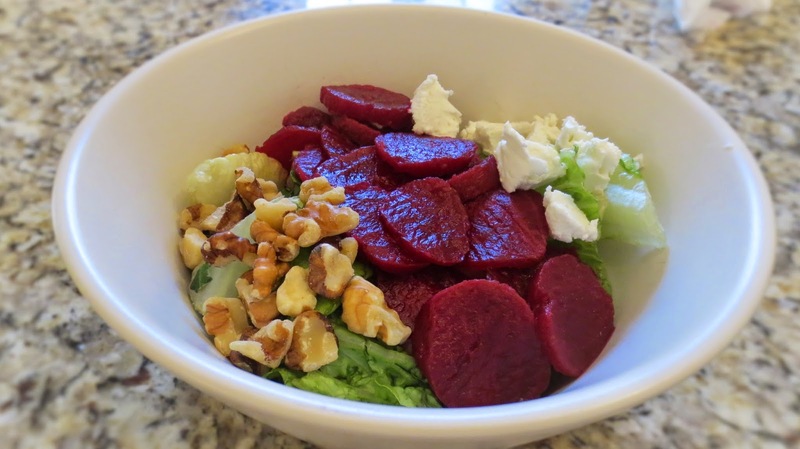 Mixed greens topped with beats, walnuts and goat cheese. 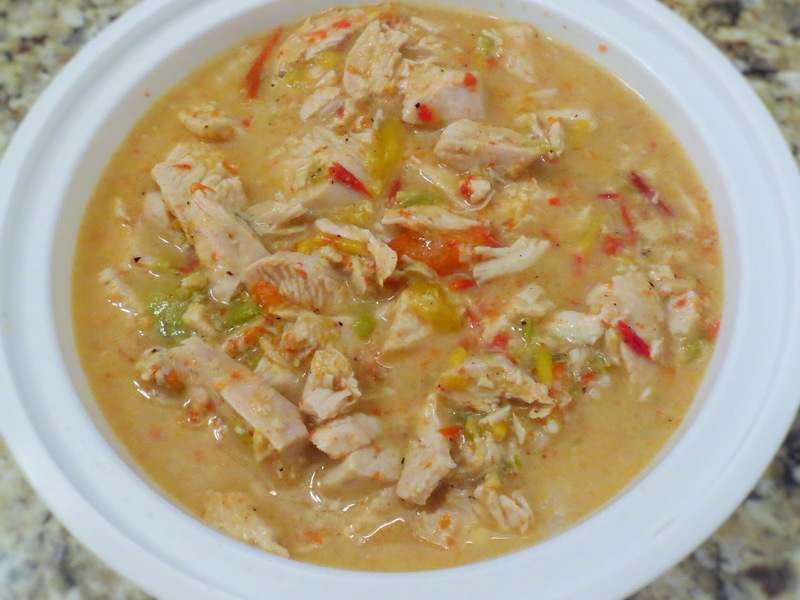 Boil chicken breast and peppers in chicken stock over high heat for 20 minutes. Return pot to stove on low heat. Add salt, pepper, and coconut milk then simmer for 10 minutes. After mixture has cooled down add peanut butter and lime juice. ** To make sauce less soup-like and more thick and creamy, drain all chicken stock from pot after boiling chicken. If you do not have time to read my super long article on “going gluten free”, here are the top 3 takeaways. 1.) Ancient varieties of wheat consisted of 28 chromosomes and stood 4 ½ feet tall. Today it comprises of 42 chromosomes and stands 2 feet tall (and we still for some reason call it wheat). When you consider how humans are only 2 chromosomes away from an ape it really makes you think twice about eating such a highly genetically modified grain. 2.) Whatever wheat really is, or whatever you want to call it, many people have difficulties digesting it, which can contribute to feeling sluggish and weight gain. Additionally, recent research found that gluten can stimulate an assortment of serious diseases in an increasing number of people throughout the world. 3.) It has never undergone human or animal testing for safety! “Going gluten-free” is a very popular mantra lately. No differently than dietary fads of the past, the phrase “gluten free” commonly appears in health magazines, cooking shows, and on the shelves in our supermarkets. However, the difference between the present gluten-free dietary craze and fad diets of the past is that losing weight is not the end goal. Instead, preventing and warding off disease and illness is. Perhaps for this reason, going gluten-free has gained global popularity and unparalleled support from the medical community. There are a number of unhealthy side effects that come from consuming gluten which is most commonly consumed in the form of wheat. While research on the issue is still inconclusive, we know there is something in the wheat plant that is making many of us sick. The purpose of this report is to examine the impact of gluten and the wheat grain on human health, the possible causes of a sudden manifestation of gluten-related disorders, and what, if anything, can be done to prevent gluten-related ailments. How can a dietary protein, so widely consumed all over the world, be so toxic? As discussed below, celiac disease researchers have been exploring the possibilities by studying the evolution of wheat. Davis MD, W. (2011). Wheat Belly: Lose the Wheat, Lose the Weight, and Find Your Path Back To Health (p.213). Rodale. Hischenhuber, C., Crevel, R., Jarry, B., MÄki, M., Moneret-Vautrin, D. A., Romano, A., . . . Ward, R. (2006, March). Review article: safe amounts of gluten for patients with wheat allergy or coeliac disease. Alimentary Pharmacology & Therapeutics, pp. 23(5), 559-575. doi:10.1111/j.1365-2036.2006.02768.x. Kasarda, D. D. (2013). Can an Increase in Celiac Disease Be Attributed to an Increase in the Gluten Content of Wheat as a Consequence of Wheat Breeding? Journal of Agricultural and Food Chemistry, 61 (6), 1155-1159. Magaña-Gómez JA, d. l. (2009). 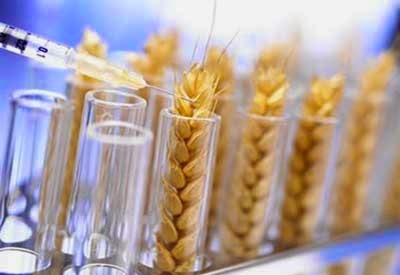 Risk assessment of genetically modified crops for nutrition and health. PubMed - indexed for MEDLINE. Soares, F. d.-L. (2013). Gluten-free diet reduces adiposity, inflammation and insulin resistance associated with the induction of PPAR-alpha and PPAR-gamma expression. Journal of Nutritional Biochemistry, 24(6), 1105-1111. Spectrum of gluten-related disorders: consensus on new nomenclature and classification. (2012). BMC Medicine, 10(1), 13-24. doi:10.1186/1741-7015-10-13. Joe and I had the good fortune to attend AHS 2013 in Atlanta from August 15th to 17th. The conference is dedicated to looking at the lifestyles of our ancestors in order to discover ways to avoid the diseases of modern man, such as obesity, diabetes, Alzheimer’s, and heart disease. At the symposium, doctors, scientists, and health specialists lectured on topics such as nutrition, physical activity, posture, and our internal clock (circadian rhythms.) In this article, I offer my take-aways. Many of the AHS workshops that I attended cited research studies which support the basic Paleo diet prescription. Here is the summary of what is generally accepted. Avoid wheat, sugar, legumes, as well as all GMO and processed foods. Eat high quality protein (grass fed beef, poultry and eggs from pasture-fed animals, and wild caught fish), all free of hormones and antibiotics. Eat plenty of non-starchy, non-GMO, pesticide-free organic vegetables, and as much high quality fat as possible. Fats should comprise the largest percentage of calories in our diet, with limited protein, and less carbohydrates. Limit omega 6 fatty acids and eat plenty of omega 3 fatty acids, supplementing with high quality fish oil as needed. The need for physical exercise and the importance of optimizing the gut micro-biome are also emphasized across the board. Significant advantages to both physical and mental health were clearly defined throughout the three-day conference. Beyond this, there were many differing opinions, mostly regarding the ratio of protein to carbohydrate consumption. Most agree that protein and carbohydrates should be limited, while people are encouraged to eat as much healthy fat as needed. Protein recommendations were as low as 40 grams for small women and up to 80 grams for an average size man, with some higher recommendations when one is body building, physically active, or participating in strenuous exercise. Carbohydrate recommendations, at the conference, ranged from a limit of 20 or 30 grams of carbs, mainly from non-starchy vegetables to a diet consisting of 150 grams of carbs with more liberal carbohydrate choices. Some believe fruits are fine, while others see fructose as the most destructive form of all sugars. Some argue that gluten-free grains and tubers are fine, while others believe all grains are detrimental to health. As in AHS 2012, debate continues as to whether or not safe starches such as potatoes and rice should be included in a healthy diet. Debate also revolves around the use of supplements, such as whether or not calcium supplementation is worthwhile. Videos of each lecture will be available for viewing on the Ancestral Health website. One of the most important lectures for me, personally, was given by Paul Jaminet on circadian rhythms. Circadian rhythms are physical, mental, and behavioral changes that follow a roughly 24-hour cycle. Paul Jaminet spoke about the importance of preventing disruption to our own circadian rhythms. One example of these rhythms is in the body’s production of melatonin (the hormone which regulates sleep and wake cycles) and cortisol (the hormone that, among other things, provides quick bursts of energy for survival). Melatonin peaks at 3 AM, whereas cortisol peaks at 9 AM. He estimates that disruptions to circadian rhythms over time could result in the loss of six years of life. To sleep well and optimize circadian rhythms, the following lifestyle factors should be considered. Sleep: Sleep should occur at night on a regular schedule in a dark room. Exercise: Exercise should be done during the afternoon. We should refrain from exercising in the evening. Night time workouts might actually worsen health. Social Interaction: Social interaction is important in the morning. When living alone, even the practice of viewing faces on television during the day enhances mood and leads to improved sleep the following night. Viewing human faces and social interaction at night impairs mood and hinders sleep. Interestingly, it was noted that every one hour of television viewing takes 22 minutes off of one’s life expectancy. But, viewing a computer screen in the office was found to have no impact on life expectancy. Light Exposure: Light exposure is important. During the day, seek bright sunlight. Natural light fluorescent bulbs are best daytime stimulators. Red, yellow, and amber lights are excellent for use in evenings to shift towards melatonin production. Food Intake/Timing: Meals should only be eaten during daylight hours. It was noted that nighttime eating is especially disruptive to anyone on a diet. Intermittent fasting was mentioned as an optimal timing strategy for meals, where all food consumption would occur within an 8 hour window. For example, the first meal of the day might be at 10 AM and the final meal ending at 6 PM. [I have been researching this for the past few months and have read suggestions that this intermittent fasting strategy is more effective for men.] The idea of abstaining from eating in the evening is the main message here for both genders. Vitamin D should never be taken near bedtime. It is associated with sunlight and will disrupt sleep. Room temperature: Room temperature has a great impact on sleep and wakefulness. Warmer temperatures (at least 72 degrees F) are optimal for daytime activities. Cooler temperatures (no more than 65 degrees F) promote drowsiness. Dr. Ron Rosedale has promoted a low-carb lifestyle for 25 years. He spoke about the hormones that regulate appetite and curb obesity: insulin, leptin, and mTOR. In order to optimize the function of these hormones, it is necessary to restrict carbohydrates to non-starchy vegetables, and to limit protein consumption. The diet should be rich in healthy sources of fat: avocados, nuts, coconut, coconut oil, olive oil, ghee, and butter. Protein should consist of grass fed beef, lamb, and pork, wild caught fish, along with eggs and poultry from pasture fed chickens. According to Dr. Rosedale, as a 5 foot, 4 inch female, I require 40 to 45 grams of protein per day, divided evenly among meals. The recommendation is to eat plenty of non-starchy vegetables, with the majority of daily calories from good quality fats, as mentioned above. In this way, the body will continue to burn fat for fuel, avoiding blood sugar spikes. The formula for figuring out your protein needs is as follows: Start with your ideal weight. Divide that number by 2.2 (in order to convert pounds to kilograms). Subtract 10 %. That is the number of grams of protein that you should consume in a day. Dr. Rosedale has an excellent website, and his recommendations are backed up with an impressive array of scientific studies, 25 years of practice with his own patients, as well as his own experience. I am tweaking my food and supplement program to reflect what I have learned from him and others at this conference. Jeff Leighton discussed the role of omega 3 fish oil (EPA 2235/DHA 990) in the treatment of chronic inflammation. Research showed that timing of the supplement does not impact effectiveness. Fish oil could be taken with or without food. A low carb diet without nuts (which contain omega 6 fatty acids) facilitates absorption of the omega 3s. But, I would like to end with a reflection from a very dynamic speaker at the conference, Kyle Maynard, who reached the summit of Mt. Kilimanjaro without any limbs. Kyle shared a motto that has enabled him to achieve his dreams. It is from the navy seals: “...not dead, can’t quit.” I only hope that I can follow this mantra in my own life. Over the course of this year, I have refined my diet to reflect knowledge gained from the Ancestral Health Symposium 2012 and 2013, as well as recommendations from my new MD/nutritionist. I have learned that we, as individuals, are unique, and that no two people will need exactly the same regimen to achieve optimal health. But, I am offering here what seems to be working for me. I have noticed resolution of my brain fog with this regimen, but some components are too recent to see other results. I will continue to update as I discover more and see significant outcomes. I am trying to get 8 hours of sleep per night. I began this week incorporating weight bearing exercises for my upper body, 3 to 4 times per week, as well as taking a 20 minute walk 4 times per week for my lower body. Welcome to the Thin and Thinner website. Our blog is dedicated to helping anyone who is interested in improving the quality of his/her life through diet. In permanently removing sugar, starchy carbs, and trans fats from our meals in 2001, we have experienced permanent weight loss, as well as improvements in brain function, energy, and cholesterol levels. We have been amazed at how effective our eating plan is in helping us to stay healthy and trim. Since attending the Ancestral Health Symposium at Harvard in August of 2012 and joining the Ancestral Health Society, Ida (age 57) has added a new dimension to the low carb diet—paleo, eliminating dairy, adding coconut oil and other healthy fats, and consuming moderate amounts of range fed chicken, wild caught fish, and grass fed beef, as well as consuming as many organic, non-starchy vegetables as possible. 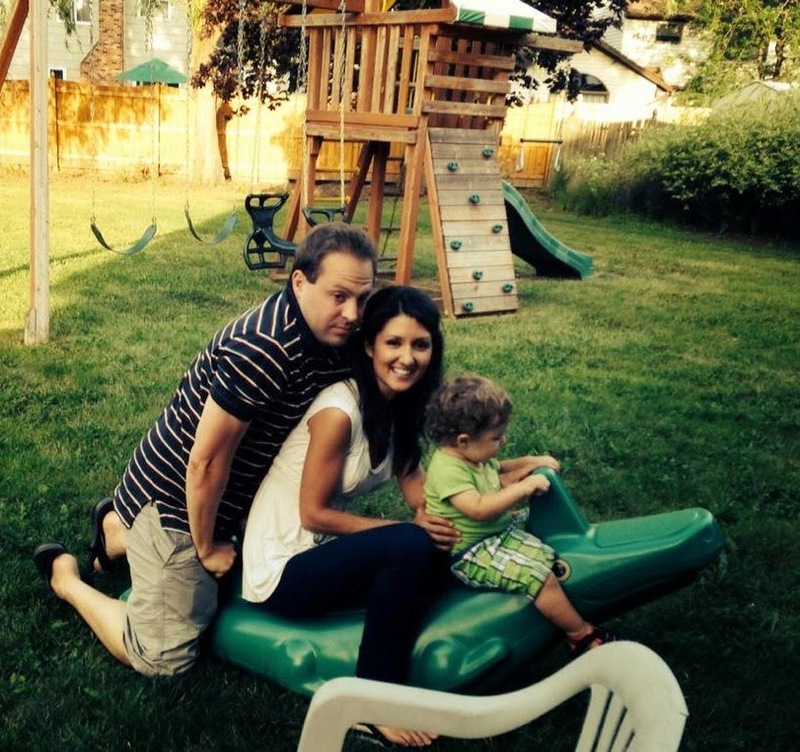 Emily (age 30) is following a low carb, but not necessarily paleo, diet. She enjoys the same foods as Ida but also incorporates limited amounts of dairy such as cream, yogurt and cheeses; and on occasion enjoys sweet treats made with sucralose, erythitrol, or stevia. Here, you can read about our personal experiences as we both continue the quest for optimal health. So, this could be an important site for both low carb and low carb paleo followers. On this site, you will find paleo recipes as well as low carb ones. We will post health issues that have cropped up, as well as solutions. There are no strings attached. Our sole objective is to share what is working for us in the hopes that it might help you to improve your health and ultimately the quality of your life. If you are interested in the following topics then this site if for you: Weight Loss, Diets, Low Carb, Low Carb Weight Loss, Diabetic Weight Loss, Insulin Resistant, Insulin Resistance, Low Carb Foods, Low Carb Snacks, Low Carb Success Stories, Sugar Cravings, Low carb desserts, low carb recipes, low carb menu, low carb shopping lists, low carb grocery list, atkins, paleo, dukan, gary taubes, 4 hour diet, slow carb diet, 17 day, weight loss in Buffalo, NY, weight loss in Rochester, NY. Shop for hard to find food products! Low Carb -Gluten Free Chocolate Cake for One person in One Minute!